For their self-titled second album, Dutch jazz trio Kapok went looking for a space that could provide the right acoustics for their unique sound. They ended up in 13th-century Beverweerd Castle, that once sheltered Napoleon and is now inhabited by ex-art forger Geert-Jan Jansen. He gave the band access to the entire castle, and after installing a mobile studio, Kapok recorded the album in two weeks, surrounded by hundreds of paintings. In contrast to the spacious, dreamy quality of their debut album Flatlands, Kapok has become an energetic album filled with instrumental songs influenced by roots music, indie rock and free jazz. There is lots of room for improvisation, and the live experience gained by the band over the past two years is constantly in evidence. Kapok is a young and unusual trio. The band combines elements from very different genres and traditions: the energy and compact form of pop and funk; the grooves and percussion of roots music; the interaction and abstract sounds of free improvisation; and the phrasing and harmonies of jazz. Using all these elements, Kapok creates music that is new and recognisable at the same time, and keeps pulling the rug out from under the listener's feet. "His group [Morris Kliphuis] Kapok has its own sound; although it is a trio it sounds orchestral due to the clever new arrangements they play "
"it will not be directly to everyone's taste, and certainly not by the 'dusty' jazzers, but I like this free wild music, a cross between jazz, rock and improvisation." "This may have been the jazz highlight of 2014. Such class"
"Sound innovations in jazz are rare. Kapok, a young Dutch jazz band, has managed to add a surprising new color"
"Powerful as an equilateral triangle they shuttle between tight composition and playful improvisation. Accessible and exotic at the same time "
"The open-mindedness of Kapok is their great strength. They add new dimensions to the contemporary jazz and accomplishing great things with minimal resources." "The diversity of sounds and sublime collaboration between the three musicians is very worthwhile to attend a concert." "No overproduced piece from three and a half minutes, but a complex compostition with percussion, guitar and horn." "Vaccines are unfortunately not included with the CD, so the kapokkenvirus rücksichtloos becomes master of your body"
"With an unusual occupation of horn, guitar and percussion, the trio manages to reach a great brightness and directness." "This album rumbles in terms of straightness, innovativeness, playfulness and an a improvasing play in many ways." "The band is fresh, exciting and adventurous." "Three young, talented and enthusiastic musicians who are doing it just a bit different. That's Kapok." "This trio is one of the flag bearers for a new extrodinary generation "
"Kapok is one of the most original and exciting live bands in the Netherlands!" "A special CD from a special band, to repeat with enjoyment and hear something new everytime." 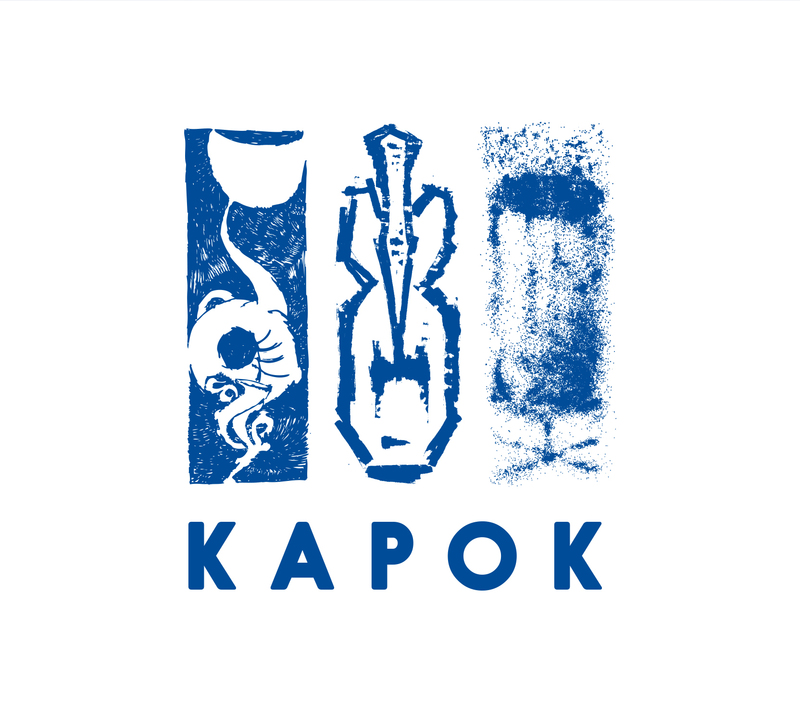 "Kapok defeats all the improvisation borders." "Kapok always seems to be looking for adventure and free music, which gives a very strong album."